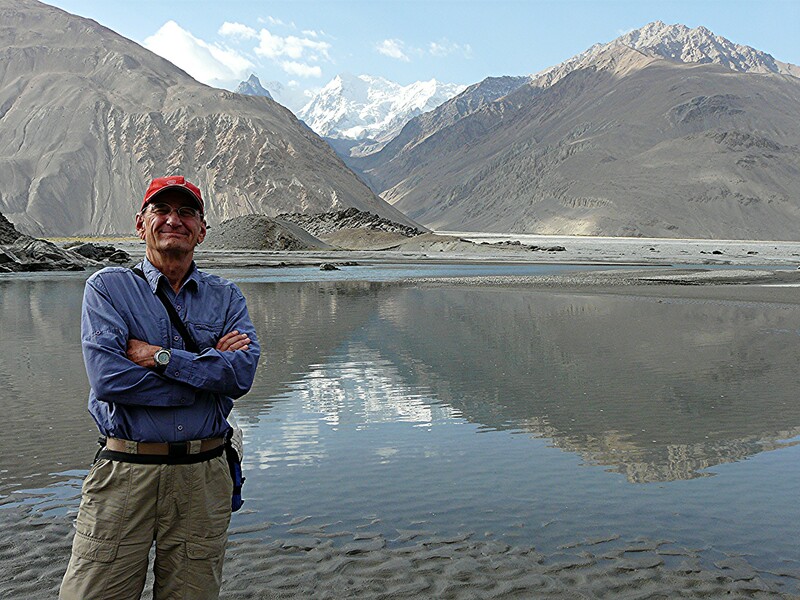 David Rich is a most intrepid writer—braving blizzards, monsoons, desert heat, and State Department travel advisories—to visit the world’s most out-of-the-way places, primarily by RV, from the Karakoram Mountains in Pakistan to the wilds of Borneo. David retired in his forties to become a full-time international traveler, an occupation he found preferable to former professions of law professor and trial lawyer with the Arizona Attorney General’s Office (from which he says he’s now mostly recovered). He pursued freelance travel writing and exotic full-time international travel for eighteen years, living in almost every country on the planet. Until buying a home near Deer Valley Airport, AZ in 2009 (where he later obtained his private pilot’s license in 2011), he and his wife Mary had sold everything and were classically homeless. Travel highlights include: climbing Kilimanjaro in Tanzania and Roraima Tepui—where Brazil, Guyana and Venezuela intersect; the Annapurna and Everest Base Camp treks in Nepal; the Karakorum’s in NW Pakistan, hosting six of the world’s 14 highest peaks; the exotic Stans (particularly Tajikistan and Uzbekistan); Mali and Ethiopia; the national parks of Patagonia, and Petra in Jordan. The highlights comprise hundreds of incredible sights and far-reaching adventures, including a minor hostage situation in Serbia. David and Mary RVed Europe, Scandinavia, Northern Africa, and the Middle East for three years; they RVed Australia for over a year, New Zealand during two visits totaling a year, and South America for two years. Along with the extensive RV and other independent travel throughout Africa and Asia, they interspersed sailing trips all over the globe from Malaysia, Thailand, and the Philippines to Venezuela, Panama and Columbia. What’s David’s Passion For Writing? What are David’s books about? “The easiest, most comfortable, safest and least expensive way to see the entire world is by RV, which the author has done on every continent save Antarctica. When people learn the author and his wife have traveled the world continuously for 18 years, living in 147 countries, everyone is curious. The questions are always the same: Does it cost a lot to travel full time all over the world? How much? How are you able to navigate all those foreign countries? What’s the best way to do it? Then comes, I wish I could do that, to which the author always says, Anyone can do it if they really want to. It’s easy and inexpensive. “David Rich examines the pervasive influence of organized religion on three vital areas of human behavior — ethics, government, and economics — and argues that the belief systems of all major religions have become a detriment to clear thinking, rational conduct, and wise public policy.